After receiving your wedding invitation, planning your outfit for the occasion is the next step. The goal is to look stylish and good while adhering to the dress code of the event. It is important to consider the theme of the wedding and dress accordingly. Regardless of what the expectations are, your clothing should always be comfortable. Some invitations provide insights into what guests are expected to wear to ensure that people are dressed appropriately according to the theme, season and venue. Read your wedding invitation and find out if there is information regarding what people should wear and how formal the occasion will be. The style and design of the wedding invitation can also serve as helpful clues. 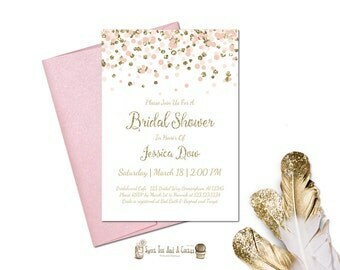 Invitations may be colorful and playful or sophisticated and formal. There may be information about dressing comfortably and wearing the right kind of footwear in case it will be an outdoor ceremony. People also visit the websites that are included in the invitation to find out more about what the wedding ceremony will entail. Depending on the type of theme, it is advisable to stick to it. If you make a decision to attend the ceremony, you should be willing to commit to the directives. This is the bride and groom’s special day and guests have their role to play. Follow the directions that are given by the couple. View wedding rings at http://www.mensweddingbands.com/. If there is an aspect of culture in theme of the wedding, make an effort to wear something that honors it. If you choose to wear an outfit or accessories that match religious of cultural dress codes, make sure that you are respectful and appropriate. When there are no clear instructions about what guests should wear, you can use the venue to guide you. If the venue is unfamiliar, search for information and pictures online. Dress in a way that matches the general ambience of the venue and styles that you may find during your online search. The setting of the ceremony will help you decide whether to dress conservatively, traditionally or glamorously. Since the couple is probably busy preparing for their wedding, you should avoid trying to gather information from them regarding wedding attire. Consult other people who are actively involved in planning or participating in the wedding. They can give you the information that you need about the ceremony. Although there are no stringent rules about how to dress for a wedding, there are some guidelines that are worth considering. During a conventional ceremony where the bride is likely to wear white, guests generally do not wear white at weddings. It is advisable to avoid this color during this type of occasion. Your wedding outfit may have some elements of white but it should not be completely white. Along with avoiding the color white, black is also not typically perceived as appropriate for a wedding. Avoid dressing in an all black outfit during weddings. You can look stylish and great without drawing attention away from the couple.